X-Extender 2 is an adapter which allows to use two SIM cards and one micro-SD memory card simultaneously in your Dual SIM mobile phone. You don't need to choose between having two active SIM cards or only one SIM and one micro-SD. With the X-Extender 2 SIM card extension adapter, you are able to get both SIMs and micro-SD card all together. X-Extender 2 is suitable for dual SIM smartphones and tablets which have an hybrid dual sim slot. These dual SIM phones allow to use 2 SIMs, or 1 SIM and 1 micro-SD, but you can not install both SIM cards and your micro-SD card at the same time. Using X-Extender 2, it is now possible to place your two SIM cards and your micro-SD together, directly in the hybrid Dual SIM slot of your mobile. 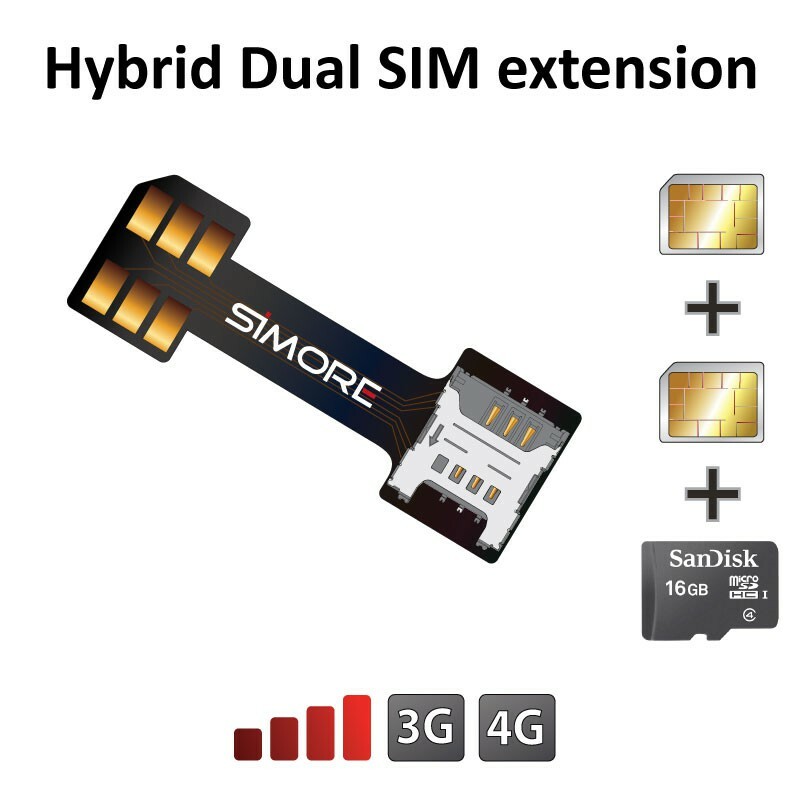 Enjoy the dual SIM function of your phone as well as the SD card memory with SIMore SIM card extension. Very easy to install, the X-Extender 2 adapter takes place directly in the dual SIM hybrid slot under the micro-SD card. It allows you to connect both of your SIM cards to your smartphone while keeping the micro-SD card in its slot. Use two SIM cards and one micro-SD card simultaneously. Increase the features of your Dual SIM mobile.